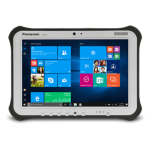 Looking for a high-performance, rugged, and fast tablet? One that can withstand the hazardous indoor and outdoor conditions? One that can handle challenging environments and hold up in the face of spills, bumps, drops and more. 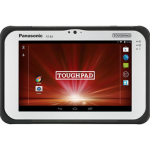 Toughpad FZ-A2, Toughpad FZ-G1, and the Toughpad FZ-M1. Designed for indoor and outdoor use, these multi-touch displays are easily viewable in bright daytime conditions. They’re also responsive to fingers and a digital stylus and can operate in extreme temperatures. 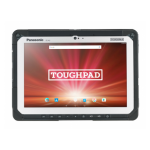 Not sure what Panasonic Toughpad or Panasonic Toughpad accessories are right for your environment? 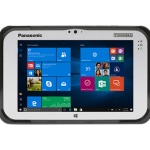 Our Panasonic Toughpad, rugged tablet and high-performance mobile technology experts can help you find the right solution for your needs. Get in touch to learn more.